Sustainable Sushi - Go Fish! 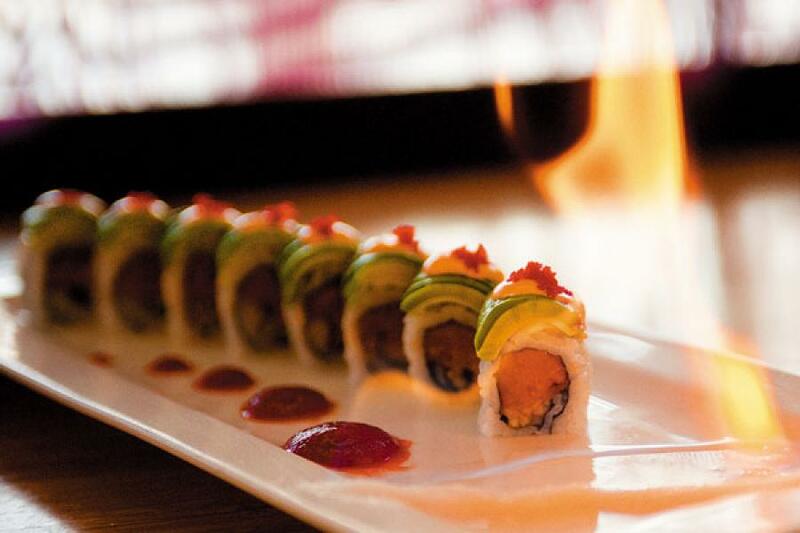 Any way you look at it, sushi is perhaps the most surprising success in urban dining menus in recent times. Till about a decade ago, few culinary experts could have predicted that Indians — who like their steaks well-done and their risottos overcooked — would take to raw fish like, well, a fish to water. However, globalisation comes with a price, one that isn’t always covered by the dinner bill. 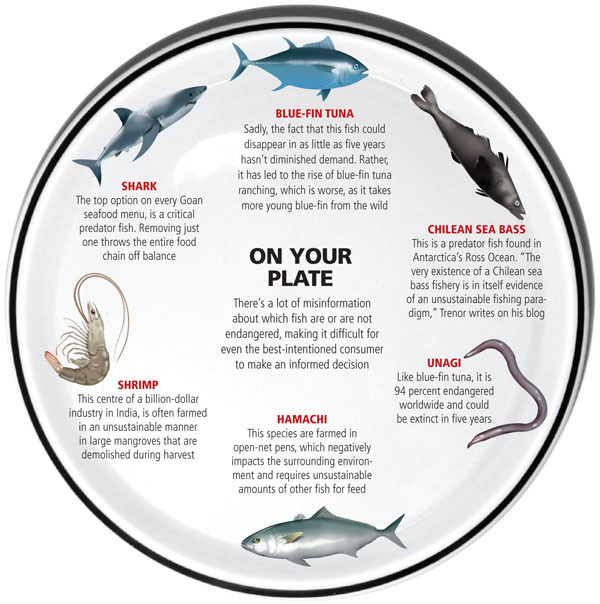 Spiralling seafood consumption — nearly 90 million tonnes per year since the late 1980s, or roughly five times the annual catch for each year between 1950 and 1970 — has caused 29 species of fish, including several varieties hunted for sushi, such as blue-fin tuna, hamachi (Japanese amberjack), unagi (eel) and certain types of shrimp, as well as farm-raised salmon, to touch critically low levels. A 2006 report published in the research journal Science (considered the most accurate indicator of the state of oceans till date) warned that at then-current levels of consumption, there would be little or no fish left by 2048. “The sushi industry is like a snake with its tail in its mouth,” says Casson Trenor, senior markets manager at Greenpeace and author of Sustainable Sushi, describing a business motivated by short-sighted profits at the expense of the environment. The problem is compounded by consumers who are not aware of how their seafood consumption affects the ocean’s delicate eco-systems, and industrialised fishing that covers an additional 3 million square kilometers — about the size of the Brazilian Amazonia — each year since the late 1980s, according to a 2010 report published by the University of British Columbia researchers in collaboration with the National Geographic Society. Trenor, a longtime advocate for responsible ocean management and self-professed “seafood campaigner”, wrote Sustainable Sushi in 2008 to create awareness about the perils of unchecked seafood consumption and help sushi consumers make better choices. That same year, he set up the Tataki Sushi Bar, a San Francisco restaurant that is the world’s first 100 percent sustainable sushi outlet. It steers clear of serving fish from endangered or overfished populations, polluting fish farms, or anything caught irresponsibly, for instance, by trawlers that scoop up high levels of by-catch while scraping the ocean floor. Sato’s menu features unique specials made of locally sourced seafood, including Alaskan and Washington salmon, goeduck, a local clam, plus sardines, crabs and other shellfish. Eating local, seasonal fish is a fundamental tenant of sustainability, as it helps regulate demand on particular species and eliminates the need for fish to travel long distances by air. One uniquely Indian option on the Yum Yum Tree menu is the asparagus tempura roll, made with tempura-battered asparagus, rice and seaweed, plus a few green chillis. “It doesn’t corrupt the sushi,” Tuli says, joking that he’s not sure if Indian customers even know why they like that signature roll. Still, the bulk of the restaurant’s menu is non-vegetarian, including yellowfin tuna, prawns and crab caught right here in the Indian Ocean, salmon from Scotland, scallops from Canada and unagi from Vietnam and Thailand. Tuli used to get hamachi from Japan but, since the March tsunami in the islands, has started sourcing similar-tasting amberjack from Chile as a replacement. At Edo, Bangalore’s newest Japanese option, tucked inside Asia’s first LEED-certified hotel ITC Royal Gardenia, sustainability is also a theme, with house favourites such the soft-shell crab uramaki and edi tempura uramaki using local crab and prawns. Other seafood options include red snapper, cuttlefish and octopus from the Indian Ocean. Likewise, Harima, also in Bangalore, sources the majority of its seafood ­— including tuna, whitefish and red snapper — from Chennai. San Qi, atop the Four Seasons Hotel in Mumbai, stays relatively close to home with fish from the Philippines and Dubai. Mumbai’s Shiro restaurant flies in some fish from Japan, but gets the majority of its produce from Chennai and the Philippines. While India’s sushi menus are far from 100 percent sustainable — Mumbai’s Tetsuma, for instance, touts Chilean sea bass as the house specialty, while San Qi’s Tsukiji Market section includes hamachi and fatty tuna, which comes with many air-miles if it’s really from Tokyo’s famous fish market — the still undeveloped local fishing industry “keeps our oceans relatively sustainable,” says Areeba Hamid, a campaigner from Greenpeace India. The solution, believes Sato, lies in reviving local fishing. “Local fishermen don’t have the infrastructure and the invasive fishing boats that deplete the ocean before the fish have a chance to reproduce. Locals have smaller nets, and smaller fish have shorter life spans. These are the fish that reproduce more quickly,” says Sato, pointing to the 2006 Science study that reported a dramatic recovery of species — and, consequently, the ecosystem — in 48 protected marine reserves. Ironically, as the more developed commercial fishing industries pay the price for overfishing their oceans, India is emerging as a major seafood exporter, earning more than $2 billion in 2009-10, according to the Marine Products Exports Development Authority (MPEDA). According to reports, demand for Indian seafood, especially black tiger shrimps, has increased even in Japan, which accounts for 15 percent of Indian exports after the US and European countries, as fears about local seafood contamination linger. 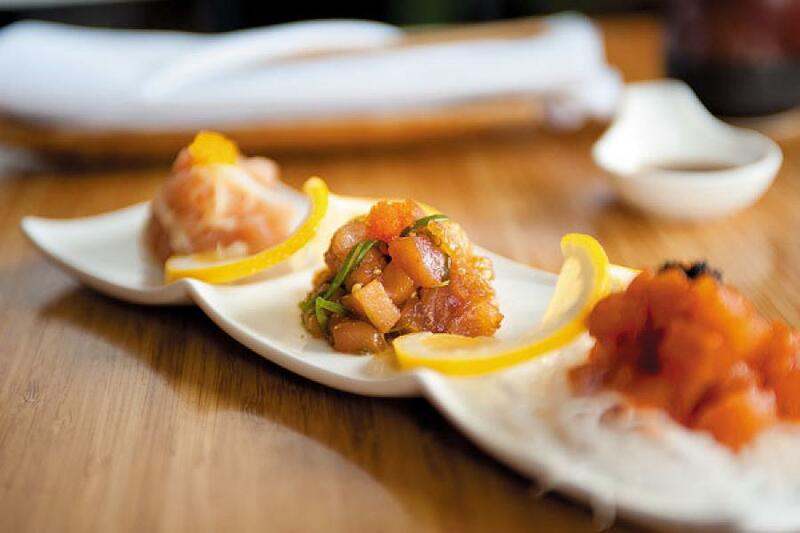 “Sustainable sushi is a new idea, but it has taken off quickly,” says Trenor. On the footsteps of Tataki, six more sustainable sushi bars have opened up in the US. “We have seen the number of major retailers of orange — one of the most environmentally devastating fish commonly available in the US seafood market — roughly drop from 18 in 2008 to eight in 2011,” he says, adding that a number of retailers have dropped other damaging species like Chilean sea bass and shark, and started to involve themselves in positive political initiatives designed to promote conservation. With the world wide awakening of ecological necessities, this is a piece of good news! For those who are interested, I have another handy one here for the eco-concious: A useage calculator which will compare the energy use and cost of various types of lighting. Very useful! Sustainable sushi, Casson Trenor and his growing group of Tataki restaurants are featured in the feature length documentary, "Sushi: The Global Catch" which premiered last month at the Seattle Int'l Film Festival. A trailer for the film is at http://www.sushitheglobalcatch.com. Interesting film.